Published on 28th March 2019 . Like everyone, you want to stay at home for as long as possible. This is becoming more and more possible thanks to a combination in the rise of live-in care programs in the UK and improvements in mobility technology. Only a generation ago the only options for people who developed chronic health issues with severe mobility issues was to either go into a care home or have a member of their family provide support. Today, live-in carers provide around-the-clock care in your own home, so they are always on hand to provide you with all the support you need. As soon as you move to a care home you lose your independence – you are no longer responsible for your maintaining your home, shopping, paying bills, cleaning or anything else. For those that have relatively mild care needs, a move to a care home can seem very restrictive, and this is why live-in care is becoming so popular. How Does Live In Care Work? Rather than a carer who visits to prepare meals, clean, and help you to wash, a live-in carer will stay in your home 24 hours a day, 7 days a week. You obviously need to have a spare room where they can not only sleep but also feel at home. Your carer’s day will start first thing in the morning when they will help you up and out for bed, and tend to your morning hygiene needs. You may be served breakfast in bed if you wish (having a good lap tray for your carer to serve you meals on is a must! ), or breakfast in your kitchen or dining room. Your carer will be responsible for preparing all your meals, helping you to eat if need be, and clearing up and cleaning. A daily bath is a good treat and something your carer will be happy to help you with. If you have a bath lift this will help both of you, as it will provide you support to get into and out of the bath. Beyond administering medication and attending any medical needs, your live-in carer will help you out with day-to-day living too, so will take you to the shops, help you get your pension and manage your bills. If you attend any social clubs they can assist you there too. As well as the nursing care that they provide, a good live-in carer also provides you with company. It is very important that you can get along with your carer, and one way to help with this is to make your home as welcoming as possible for them. Invite them from day one to sit with you in your front room to watch television, so that they know that this is acceptable, and start conversation with them. Some live-in carers who are new to care may feel that they need to be “doing something” all the time, and not realise at first that chatting is a vital part of their care work. The easier you can make it to live comfortably in your own home, the better your relationship will be with your carer. For example, if you need to call for help every single time you wish to get up from your chair, then your carer may be interrupted when cooking or cleaning. 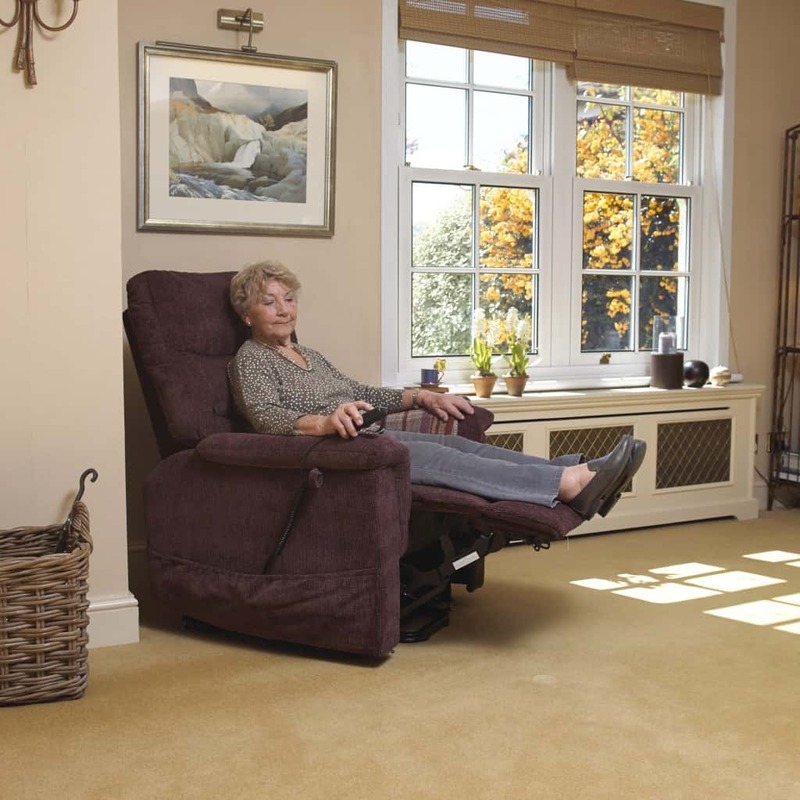 For instance, if you have a riser recliner chair and a rollator, then you will still be able to get up from your armchair and get around the house. Likewise, the more help you can provide yourself with going to the toilet, such as using toilet seat raisers and grab bars, the more you can continue to be independent. While it is great to have somebody on hand 24 hours a day, there will always be days that you feel you have a little extra energy and a desire to be a little more independent. You should always embrace these occasions, and this is why it is so important to have mobility aids around the home to allow this. hey tend to do shifts in different homes, and will of course require holidays too, and cover will be provided. Most agencies like to rotate carers too, so that all their carers have a wide range of experience dealing with different patients with varying needs. And carers do move on from jobs too, and it can be hard to say goodbye to a good carer. Live-in-care is a growing trend in the UK at the moment as more people are determined to stay in their own homes for as long as possible. As the cost of care homes continues to rise, live-in care starts to look far more appealing. Remember that a live-in carer is a two way relationship, and the more relaxed they feel working in your home, the happier you will be with having them around all the time.